Presenting a lifestyle of pure serenity, this family retreat combines colonial inspiration with a visually stunning layout and character rich features designed for a modern day retreat that will be loved by all. Adorned with raked ceilings, a choice of living zones, an open plan kitchen with timber bench tops, wrap-around bull nose verandah, sublime alfresco spaces with pristine pool and outdoor spa framed by greenery all come together to create an unbeatable entertainer and comfortable family home. With strong architectural appeal, three bedrooms plus a secure garage with an extra bedroom and ensuite, this engaging home is set in a whisper quiet cul de sac with quick access to Callaghan Campus, the John Hunter Hospital, public transport and popular schools. * Unique character rich home flowing across a single level design. * Dual living domains provides families with space and separation. * Gas kitchen links to family dining and lounge room with seamless outdoor connection. * Gabled ceilings, leadlight features, timber shutters and ducted a/c. * Three generously sized bedrooms with walk-in/built-in robes and ceiling fans. * Full family bathroom plus second bathroom and extra bedroom in garage. * Outdoor excellence with wow factor alfresco zones, spa and self-cleaning in-ground pool. * Magnificent private yard perfectly screened by established trees. * Wrap-around verandah captures winter sun and summer shade. 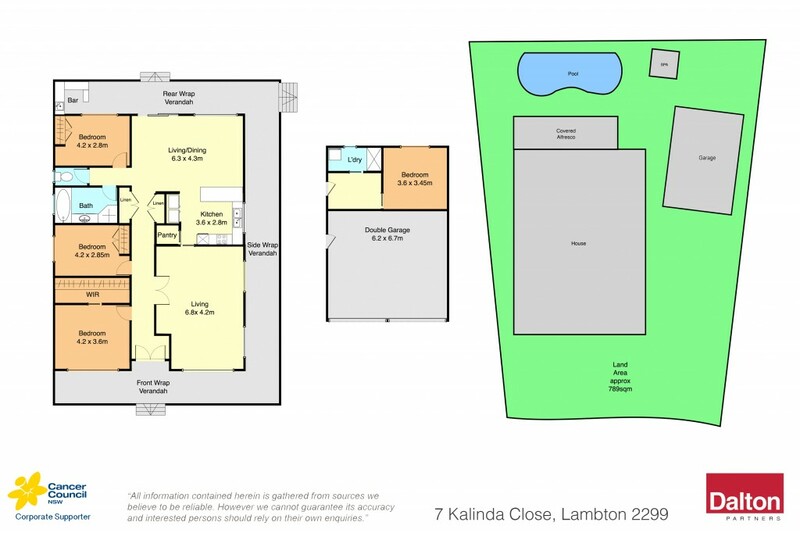 * Safe walkways leading to sought-after Lambton Public School. Council Rates: $523.00 PQ approx. Waters Rates: $511.22 + usage PQ approx.